A desk in the MERCOSUR parliament is all but empty save for a sign that reads “Free Milagro Sala.” Police kidnapped and arrested Sala from her home in San Salvador de Jujuy, Argentina on January 16 in an operation orchestrated by Jujuy province governor Gerardo Morales and newly-elected Argentine president Mauricio Macri. She managed one final tweet before being taken away: “At this moment, Gerardo Morales’ police are detaining me, this is like the dictatorship. #Jujuy.” Sala has been detained since January 20without trial at a women´s jail in Alto Comedero, Jujuy, roughly 60 miles from her home. Prior to her arrest, she had been elected as a parliamentary member of the MERCOSUR, the Southern Common Market. As a member of an international organization, the state of Jujuy has no legal right to arbitrarily arrest her. 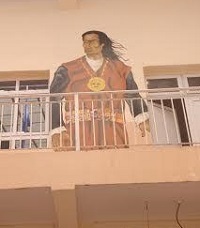 Sala is one of the founders of the Tupac Amaru Neighborhood Association (known popularly as “The Tupac”), named after Tupac Amaru II, the indigenous leader of the 1781 rebellion in Cuzco, Peru against the Spanish colonizers. The Tupac was formed 16 years ago in the context of severe unemployment and hunger brought by neoliberal policies that especially affected the province of Jujuy. 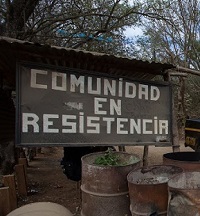 Prior to the existence of the Tupac, there was a colonial situation in Jujuy, with mostly indigenous jujeño farmworkers working under extremely harsh conditions in the harvest for wealthy, white Argentine landowners. The province also suffered from one of the highest structural unemployment rate in the country. Very few workers were able to own houses and their families were suffering from hunger, while the bosses they worked for became increasingly wealthy. Because Sala was not allowed to enter pools when she was a child due to racism in Jujuy, the large swimming pools that the Tupac has built are extremely important for her. 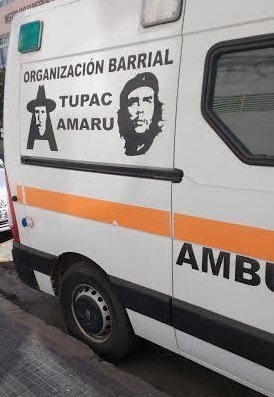 Unlike the oligarchy that Macri and Gerardo Morales represent, the Tupac does not discriminate: one does not have to be a member of the organization in order to partake in the physical education activities or receive free healthcare. Everyone is also welcome to participate in the cultural, spiritual, and educational activities of the Tupac. Even though the media paints the organization as dogmatic because its ideology is based in socialism and it uses the images of Che Guevara and Tupac Amaru, in practice the Tupac consists of workers of different political beliefs who want to attain a house, dignity, and work. The organization´s goal is for there to be “work, education, and healthcare” and although the Tupac is socialist, it does not fire any worker based on their political beliefs. Macri, on the other hand, has been ideologically persecuting and firing workers based on their political beliefs. Since Macri became president in December, 140,000 workers have been fired from their jobs in Argentina. A recent visit to the San Salvador Tupac Amaru office shows the desolate situation that the organization now faces. There are a few nurses, no doctors, and the physical education programs have mostly had to close. Lorena, a single mother in San Salvador de Jujuy, is worried that her 4-year-old daughter will not be able to get access to free dental and medical care or learn to swim. 20,000 people in Jujuy have been left without work in the past two months. The cooperatives have been forced to close and are no longer functioning. The immigration rights and gender diversity offices, which had provided legal and support services for immigrant, LGBT and women workers, are also shuttered. 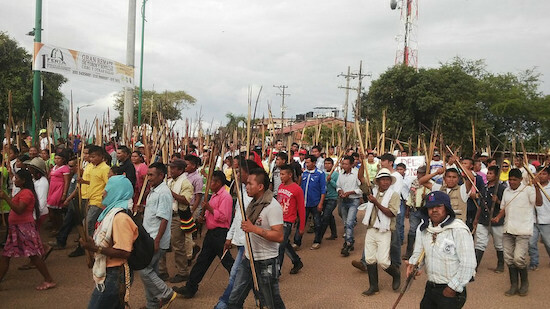 The janitors and doormen of Tupac Amaru school in San Salvador have not been paid for the past six months; they continue to go to work out of dedication to the Tupac Amaru Association, but the state has frozen their funding. The teachers are still being paid, but the state has decreased their salaries and they are at risk of being fired. Many of the elite and conservative politicians have accused the Tupac as being “corrupt.” In spite of the media´s claims that Sala is being detained due to corruption, she is not in jail on any such charges–she is in jail for protesting in a plaza against the governor Morales and his policies. Occupying plazas is something that is done frequently by various social organizations in Argentina as a form of protest. The only testimony of corruption that the media has been citing comes from Jujuy parliament member Mabel Balconte’s claim that Sala had suitcases filled with money (in spite of the suitcases being nowhere to be found after police raided Sala´s home); independent journalist Cynthia Garcia released documents showing that Balconte had tried to commit suicide following her testimony, because she was under a lot of pressure and testified against Sala following threats from governor Morales to her and her family if she did not release a claim about Sala´s supposed corruption. The Tupac is specifically being targeted in an effort to destroy everything that the organization has achieved over the past 12 years. Sala’s lawyer also stands accused as of early April. “They are not only persecuting me, but also my defendant, Milagro Sala,” Luiz Paz says. “What they want is for the Tupac Amaru to disappear.” Alberto Bellido, another of Sala´s lawyers, was arrested on April 27. The Tupac no longer has a legal team and the justice system is trying to protect Macri, while it persecutes members of the Tupac. Macri is implicated in the Panama Papers for having offshore accounts in Panama and the Bahamas to hide bank accounts in order to not pay taxes, but there is total media silence on the corruption of the Macri presidency. Domingo, a member of the Tupac Amaru organization in Buenos Aires describes Sala’s arrest as “political revenge” on the part of the Macri government. The media has been complicit in providing impunity for Macri and has demonized not only Sala but her family as well. Sala´s 27-year-old son Sergio Chorolque has also been accused of corruption and could serve up to two years in prison. One of the main Argentine newspapers, La Nacion, dedicated an entire article about the “corruption” of Sala’s son and based its argument primarily on the fact that he owns a car. Chorolque stated that he had worked and saved for 8 years to buy the automobile and it is not a crime to have a car. The media has not covered any of the protests that have been calling for Sala’s freedom, nor has it covered the state repression against Tupac members. Tupac members have had their houses broken into and raided by police over the past few months. Police have also tortured and insulted many Tupac members. In a press conference not covered by the mainstream media, a Tupac member described being tortured, hit on the back and called homophobic names and said that he “never thought it would come to this.” Meanwhile, Morales and Macri continue to refer to the Tupac as being “violent.” A recent victory was won by the Tupac, as a charge against Milagro Sala for “threats” against Morales was closed by the federal justice, as there was no basis to the claims that Sala had ever personally threatened Morales; Sala nevertheless remains arbitrarily detained. On June 7, Sala announced that she and other imprisoned Tupac members were beginning a hunger strike—Sala’s second since her imprisonment– to protest the conditions in the jail and the lack of hot water and heat. On June 9, María Molina, a prisoner and member of the Tupac, was hospitalized due to health complications that arose from her participation in the hunger strike. The denial of access to hot water and heat in the jail is another attack on the Tupac. The goal of the Morales and Macri government is to destroy the Tupac and to repress its members, with full consent of the media. While there is a lack of media freedom and legal representation, the streets and walls will continue to speak. The recently-formed Committee for the Liberation of Milagro Sala has recently launched its campaign of 100 murals across Argentina for Sala. There have been cases of police repression against the activists who have been painting the murals, but the Committee states that they will continue with the campaign. The walls say ¨Free Political Prisoner Milagro Sala.¨ The state will try to cover them up, but ¨Free Milagro Sala¨ continues to be painted across walls in many neighborhoods and cities. The words are indelible, as is the dream that was built by the Tupac Amaru in Jujuy.